Here's a closer look at what I wore. It was perfect weather this day! Anyone have any good ideas for a background to use? All I am doing is walking down the shot and then stopping and looking around. Anyway yesterday my roommate and I went to the Gilt City Warehouse Designer Sale, and honestly it wasn't as exciting as I thought it would be. There wasn't anything worth your money. I mean, the only cute pieces I found were still pretty pricey! Like if I wasn't still a student and had a full time job I would splurge...But that isn't until after June. I mean to say the least it was definitely an experience... I've always wanted to go anyways. My roommate just bought a pair of bootie heels, and bought an eyebrow filler from Benefit. I also got a manicure and pedicure this day! It was much needed! 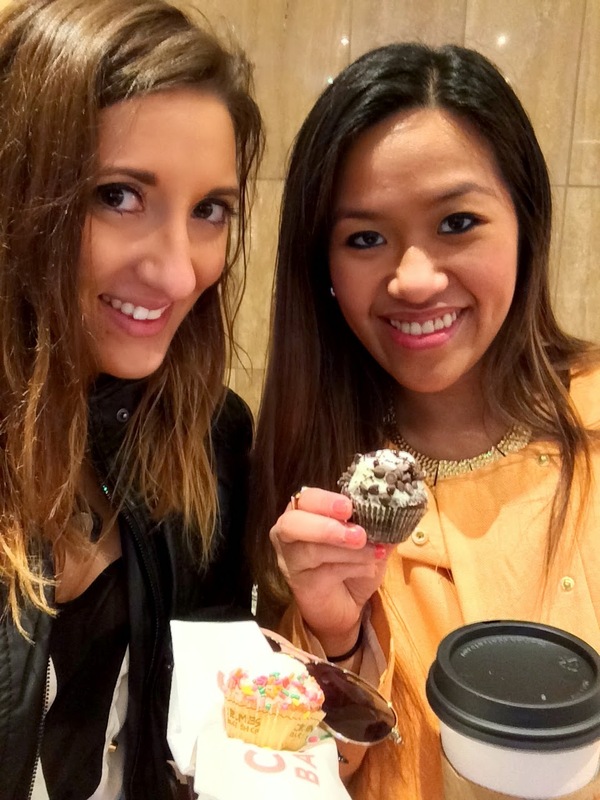 Today... my best friend and I went on a cupcake tour! It was yummy!!! 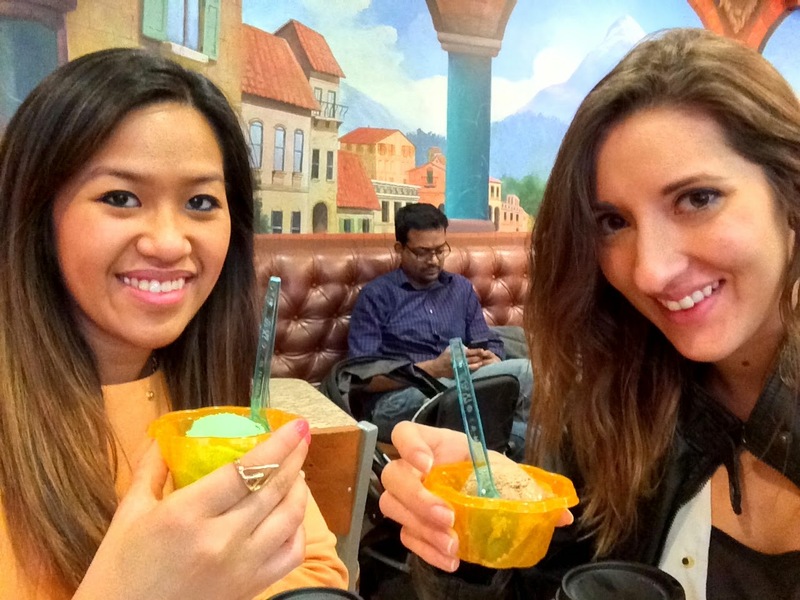 The cupcake tour consisted of 4 cupcake shops/bakeries and 1 gelato place. Crumbs cupcakes! I tried the Mint Chocolate! I normally don't like Crumbs Cupcake Shop, but these minis were good! I think it was because it was a one biter lol. The gelato was yummy!!! I chose the mint chocolate and my friend chose the cappuccino flavor. Sprinkles!!! This place is quite overrated. 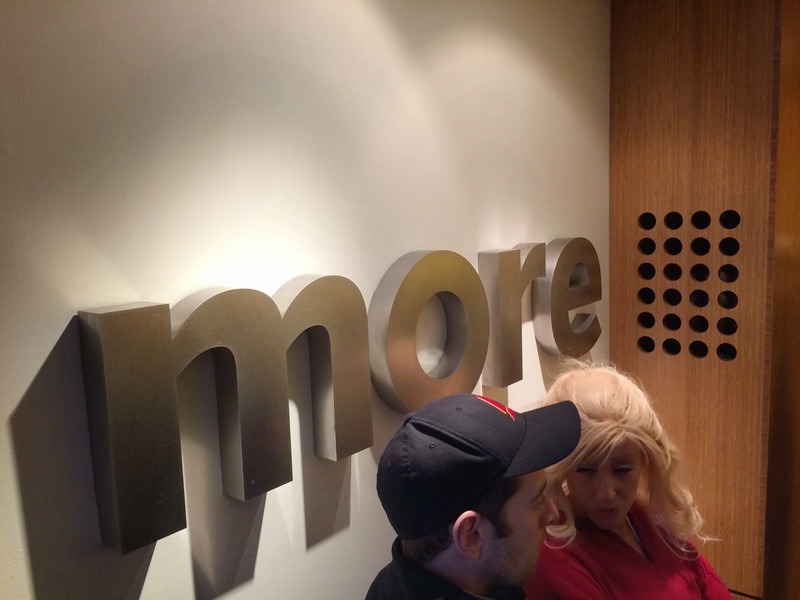 If you aren't familiar, it's quite a popular cupcake shop... You'll find most celebrities eating their cupcakes! I tried the one with the flower decoration on it, it was an orange-y flavor! As always, Sprinkles was good. 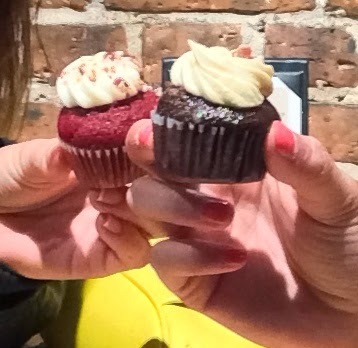 But I still favor @mollyscupcakes in Lincoln Park. More'ssss cupcakes! I also am not really a huge fan of this place. But we were able to try two minis, I can't remember the first one? LOL but the 2nd one was a BLT cupcake. I was a bit hesitant to try it but it turned out pretty good! After all those sweet flavors, it was nice to change up the taste a bit! West Town Bakery! I have only tried their cro-nuts before, but they were known for best cupcakes in town! The cupcakes were moist (just the way I like it), and definitely would say are my favorite ones of the day. Well that is all for now loves! This week is suppose to be gloomy and rainy.... So not sure what outfits I will come up with! But I promise I'll update more! It is okay to take time off blogging and then come back all refreshed with mew posts. This ia really nice post. You obviously had a great time and i your photo shoot will be one to watch out for. Can't wait to see what background you came up with. How about Paris street as your background?